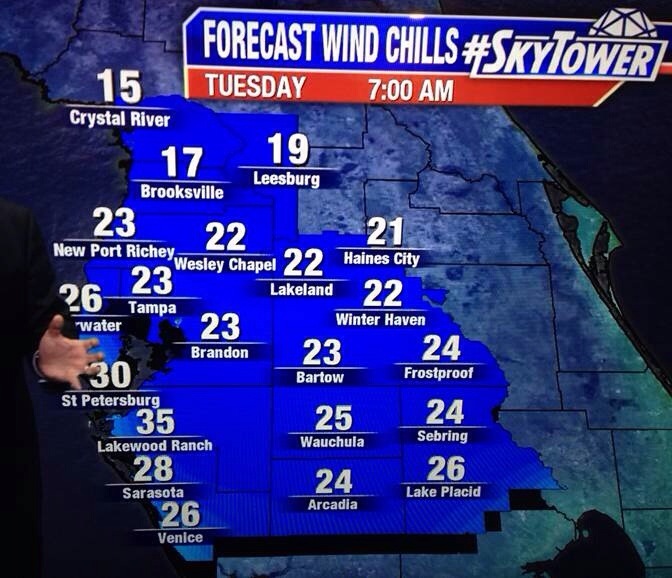 Schools Closed January 7 for Second Day in Northwest Illinois Due to Extreme Cold – Floridians Suffer Also! The cold air has finally reached Florida, but tough Floridians just take it in stride. Most say it is jacket weather, and no lattés outside this morning. The Florida kids are in school, and businesses are open as usual. Our friends in Florida can serve as example – a little cold weather does not slow them down! This entry was posted in Weather on January 7, 2014 by Good Day Illinois.